Last Saturday Sophia and I were invited to the Les Mills Live convention in Manchester. 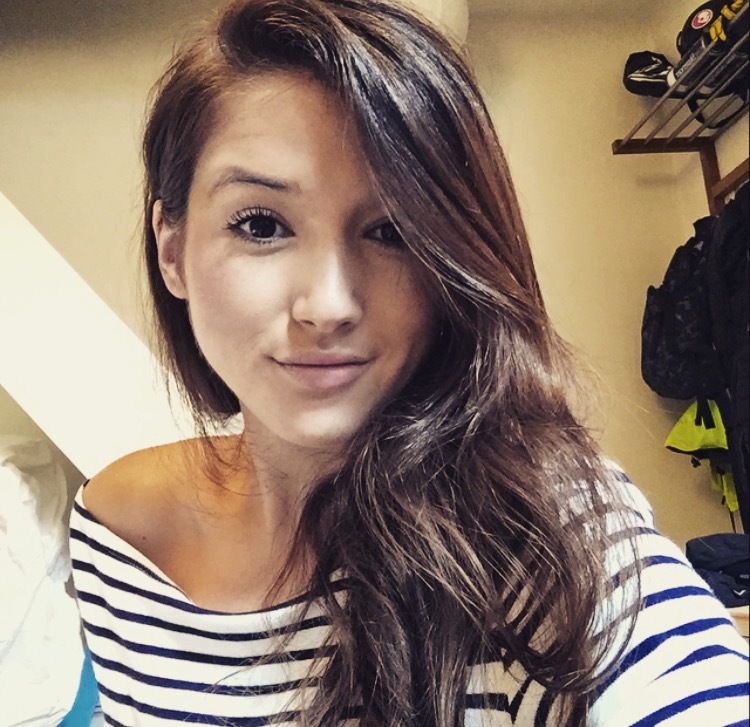 It was one of those events that came round really quickly and I hadn't had too much time to think about it, so when Sophia sent through the workout schedule and asked which classes I wanted to go to, I didn't know where to start - the classes ran from 10am - 6.30pm! I hadn't realised just how much of a cult there is around Les Mills. My gym offers their classes, so I'd done a couple of GRIT classes before, and when we were away on our little blogger weekend a few months ago, Sophie & I were asked to come along and try the local Les Mills Body Balance class - where I'd mused that the thought of the same class being taught all over the world on the same day was a really nice idea. 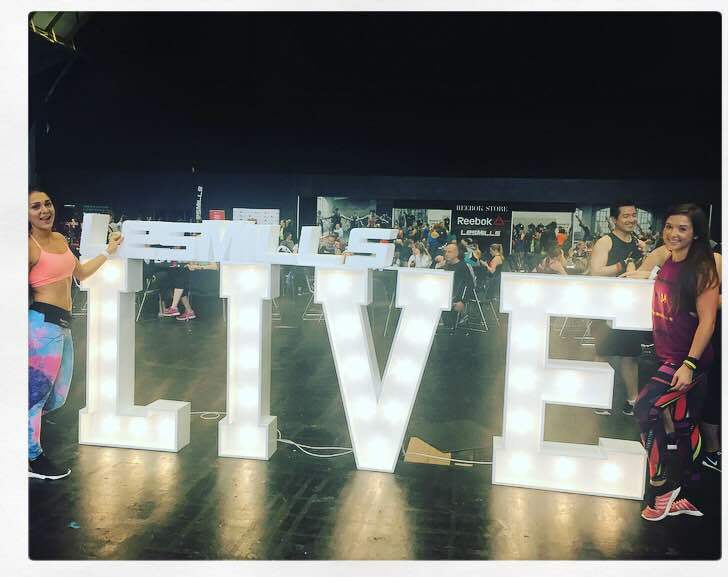 Les Mills Live then, a global fitness festival, was the perfect way to be immersed head first into what the movement is all about. Picture a huuuuge convention space, thousands of people in lycra, really loud music and lots and lots of squat jumps. I was in my actual element! Soph and I were whisked quickly upstairs to get changed before being ushered into a GRIT strength class, with what seemed like a hundred other people. What struck us both (as we sweated profusely through bent over rows and squat presses), was that there were soo many people in the room who knew all the moves. Before our instructors could shout them out, people were doing press ups and onto the next before we'd even dropped to the floor. The class was great, and truly got us in the Les Mills zone. I loved that there was a real mix of men and women at the festival. I'd say it leaned towards there being more females there but there was a huge guy presence too, which was really nice to see such an encompassing movement that appeals equally to women and men. What also struck me was the varying ages of people there. Girls in groups, mums out with other mum friends, loads of lads and older blokes - the day was for everyone. It really felt like a big community. The international element struck a chord too, with American, Australian and English accents. After walking around some more and a quick coffee stop, we braved it to the front of Sprint - a 30 min cycle class that mixes speed, power and strength exercises on the bike. It. was. touuugh. Really really sweaty, but I was totally pumped for it - the music was great and everyone was buzzing! They've also just teamed up with Reebok to launch a lush new activewear collection - which Reebok very kindly gave to us so we could blend in at the event! My top is a deep berry with 'leave them speechless' emblazoned in purple and gold lettering, and the leggings are reversible (I later found out); black on one side, with Les Mills in white writing, and a rainbow of black, berry, red and yellow on the other side - very power hour! I'm also being sent some gorgeous trainers too, and can't wait to get them on. I had such a great day, and it completely encompassed one thing I love most about fitness movements - the sense of community and togetherness. It was totally uplifting - so thanks so much to Reebok & Les Mills for letting me be a part of it!